Application Form for Grant of Stipend to Arunachal Pradesh Scheduled Tribe Students for the Academic Session 2018-19. 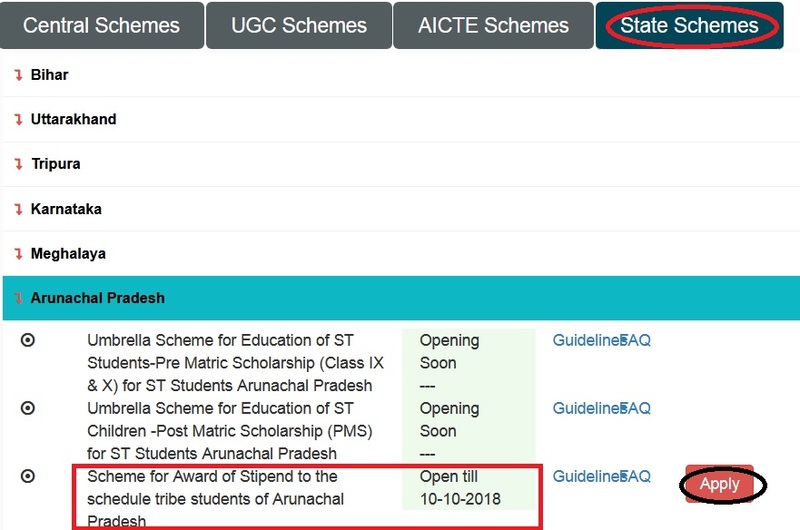 ** The stipend will be admissible to students who belong to Scheduled Tribes of the State as notified by the Central /State Government and are permanent resident of Arunachal Pradesh. ** Students whose attendance is below 75% in any month (unless for certified reasons of health or bereavement) shall not be eligible for award of stipend. 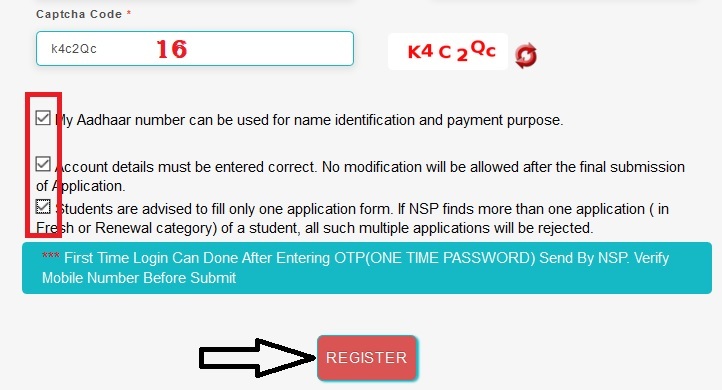 Step 2 : Then Select State Schemes tab and Click on Arunachal Pradesh in the drop down list. b. Mark sheet of the last examination passed. d. First page of SBI Saving Bank Account Passbook containing details of the account holder. 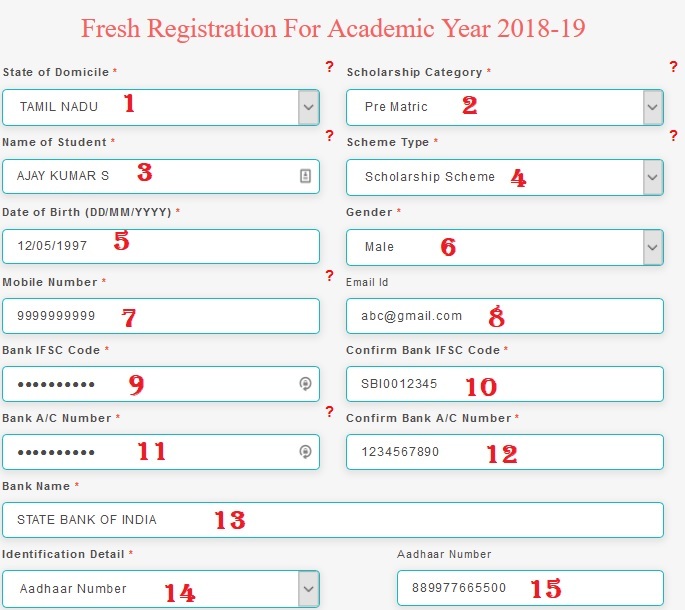 ** Students pursuing their studies in institutions not recognized by the State of Central Regulators like UGC, AICTE, MCI, DCI, BCI, CCH. etc., shall not be eligible for award of stipend. ** The grant or continuance of stipend is subject to the satisfactory progress and good conduct of the student for the particular course for which he has applied for stipend. ** The Government reserves the right to either cancel the stipend or stop or with-hold further payment to any student for such period as it may deem fit. ** The stipend will not be admissible for the period when the institution is closed for vacation. 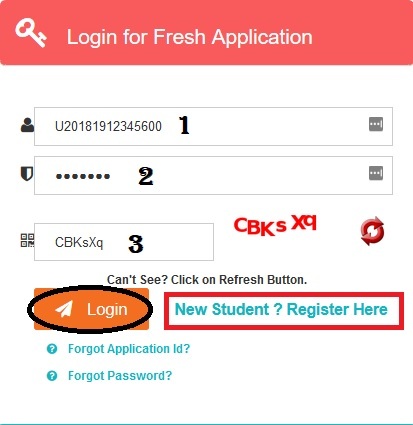 I have my application ID but what about my password? I have not got any password yet.